The view from Windham High Peak. 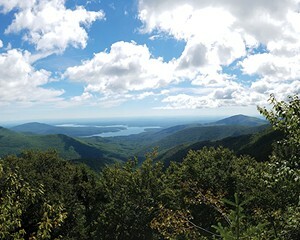 The Catskill Mountain high peaks offer rock scrambles, fire towers rising above two summits, and sweeping views of the adjacent peaks and the farms and towns nestled in the mountains. Less rugged than the White Mountains or the Adirondacks, the Catskills are subalpine, never rising above treeline. But this is still the backcountry, complete with bears and stinging nettles. Hikers should come prepared with the right skills, planning, and gear. For day hikes, it is critical to set a turnaround time that gives an extra buffer to ensure a safe return home. Winter 35'er Jake Haisley also urges hikers coming to the Catskills High Peaks to bring a headlamp with extra batteries, in case the return must unexpectedly be made after nightfall. 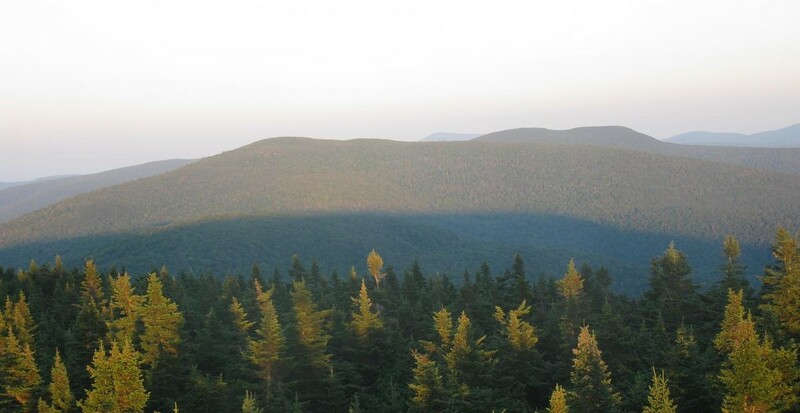 Here are three recommended high peaks hikes, including one northern peak with a very satisfying view, another peak that is westernmost of the High Peaks, and, lastly, one bushwack to a trailless summit. Windham High Peak is positioned at the northern edge of the Catskill Mountains. The approach offered here is from the trailhead at Peck Road. Begin by taking the yellow-blazed Elm Ridge Trail north. At the juncture with the blue-blazed Escarpment trail, turn right and head east toward the summit. According to Catskill 3500 Club member Lawrence D. David, at one time there was a giant hayfield here. You can detect the reforested farmland from the landscape, which includes a meadow, stone walls and non-native stands of Norway spruce. 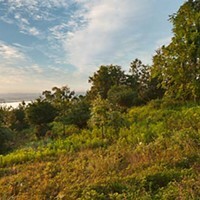 Once you reach the summit of Windham High Peak, looking north you can see across flat terrain to the Albany skyline. Looking south, the peak commands a view of the three conifer-covered peaks of the Blackhead Range. 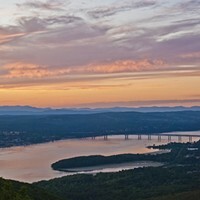 According to David, the geographically savvy hiker can also identify more distant peaks—Mount Greylock (Massachusetts), Mount Everett (Appalachian Trail in Massachussets), and Mount Equinox (Vermont). Balsam Lake Mountain is the westernmost peak exceeding 3,500 feet. The shortest way to the top is from the trailhead at the end of Beaver Kill Road, following a northerly route. Begin your hike on the blue-blazed Dry Brook Ridge Trail, and then take a left at the juncture with the red-blazed Balsam Lake Mountain Trail. This trail will bring you to the summit. The peak (and the nearby Balsam Lake) are named for the characteristic subalpine Catskills foliage of Balsam fir and red spruce found here. The first firetower in New York State was also built in this spot in 1887. Once you have attained the peak, you can ascend another 47 feet by climbing the current firetower that stands here today, which was erected in the early 20th century. 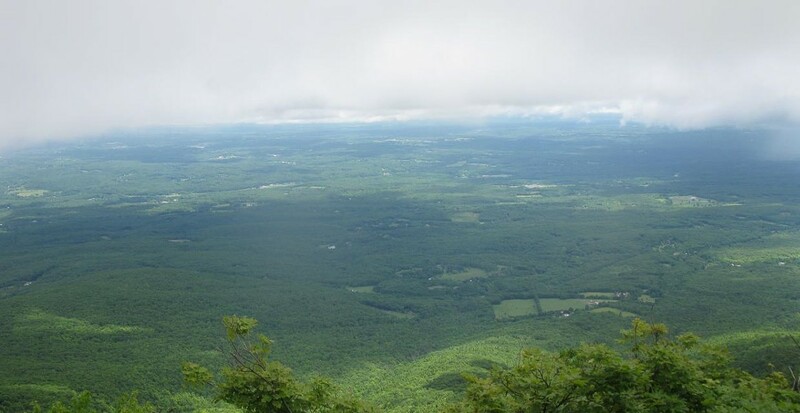 From this added height, you can enjoy well-earned panoramic views of the western Catskills. Near the well-known Hunter is the trailless Rusk Mountain. This is a good entry-level bushwhack. 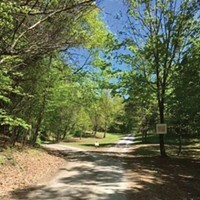 Begin at the Spruceton Road trailhead, and follow the blue-blazed Spruceton horsepath about one half-mile northeast. Shortly after passing over a footbridge, the trail veers to the right, heading east. Before this bend, head off trail and begin your bushwhack northwest toward Rusk Mountain. Always study the route in advance and alert someone to your intended route and return time before attempting to bushwhack to a trailless peak. Haisley cautions that it is usually easier to find the peak, as all upward slopes lead to the summit, while it can be more difficult to descend to the right spot, since you can walk down in any direction. "You will see plenty of interesting ledges, rock overhangs, and rock shelters on your way up," he adds. He also advises bringing a map and compass, as well as a GPS, to ensure you navigate safely. Don't forget to look for the canister at the summit.